A sneak peek at Katrina and Mark’s Halstead wedding. A few months back I was fortunate enough to photograph the wedding of Katrina and Mark a brilliant fun loving couple from Great Yeldham. 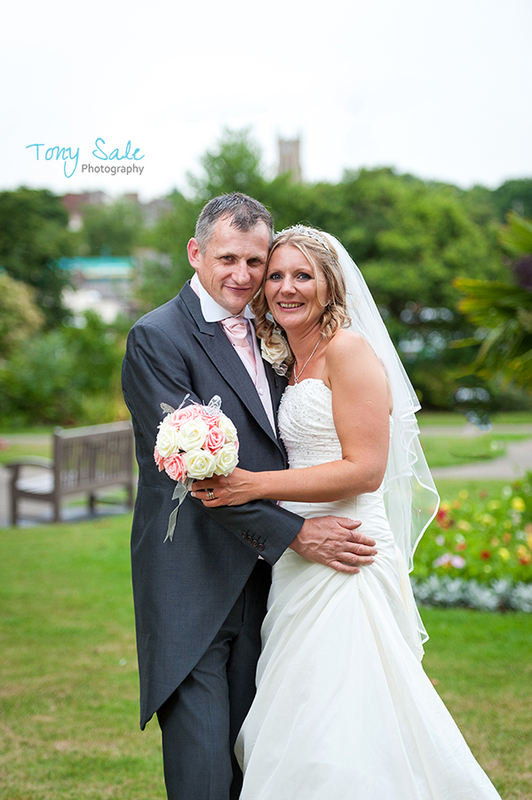 They got married at The Bull Hotel in Bridge Street where they also held their reception. During the evening we had an opportunity to go and spend a little time and take some photographs in Halstead Public Gardens. This is one of those shots, I just love the soft evening light and the outskirts of the town and church you can see behind them and of course the fact that they look so good together.